I'm building typing and stenography resources to help people learn stenography. This includes creating lessons with different tailored content and building and maintaining Typey type. 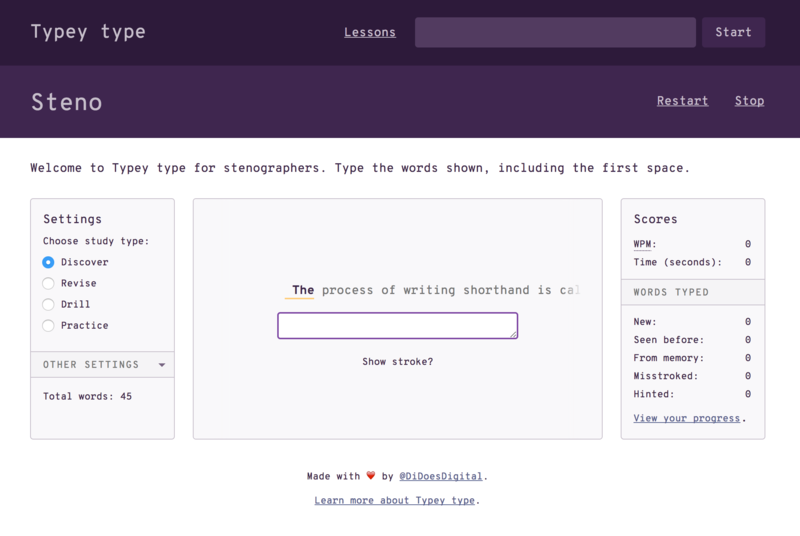 Typey type is a typing app designed specifically to help stenography students learn steno faster. You can learn briefs and improve your stenographic speed and accuracy using tailored education options, including tight feedback loops so you learn to fix misstrokes immediately. You can effortlessly track progress in your brief vocabulary and rapidly increase in steno skill. When I reach $60 per month, I'll create a new lesson every month.